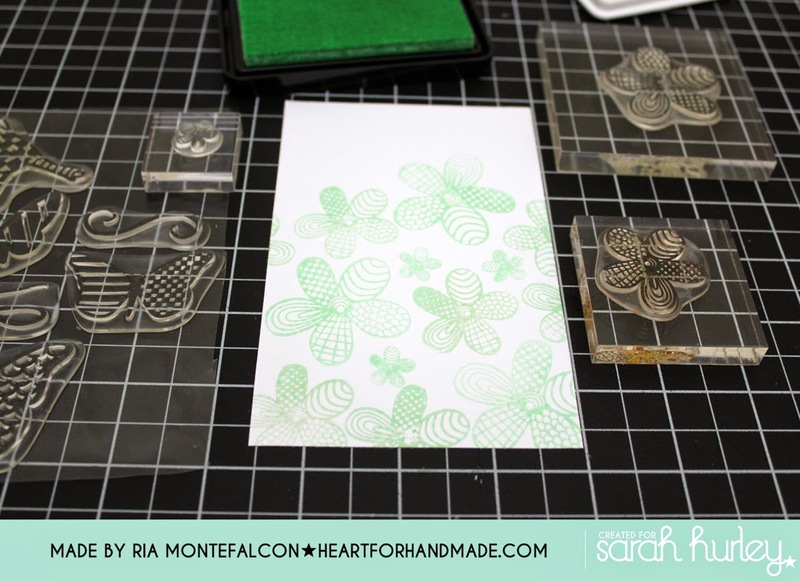 Its Ria here to share a fun one-color background stamping. 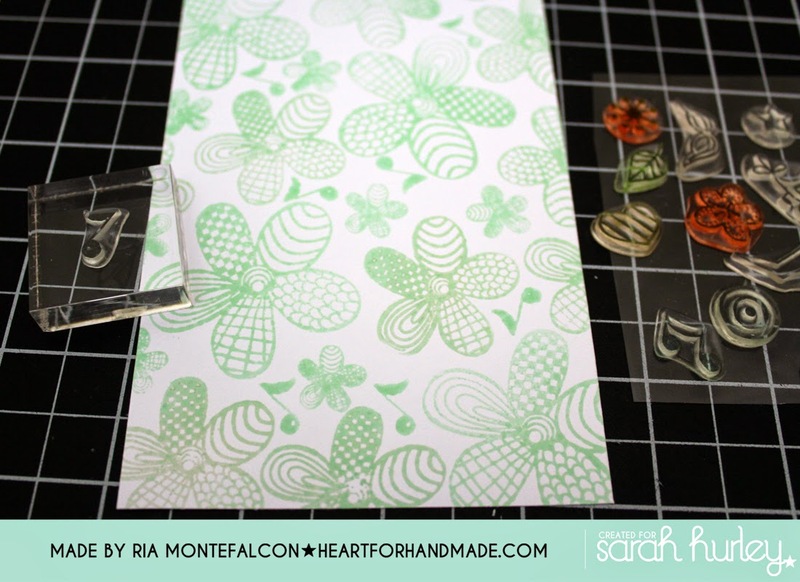 First up, I stamped the 3 different sized flowers that is part of the Zen Doodle Nature stamp set. I used only one light color ink over white cardstock. 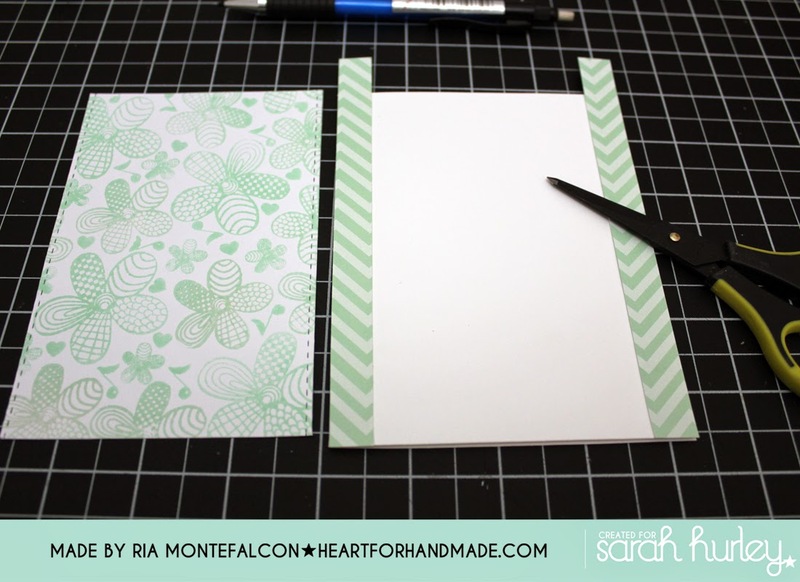 In my card base, I added green strips in both sides to base the stamped design. 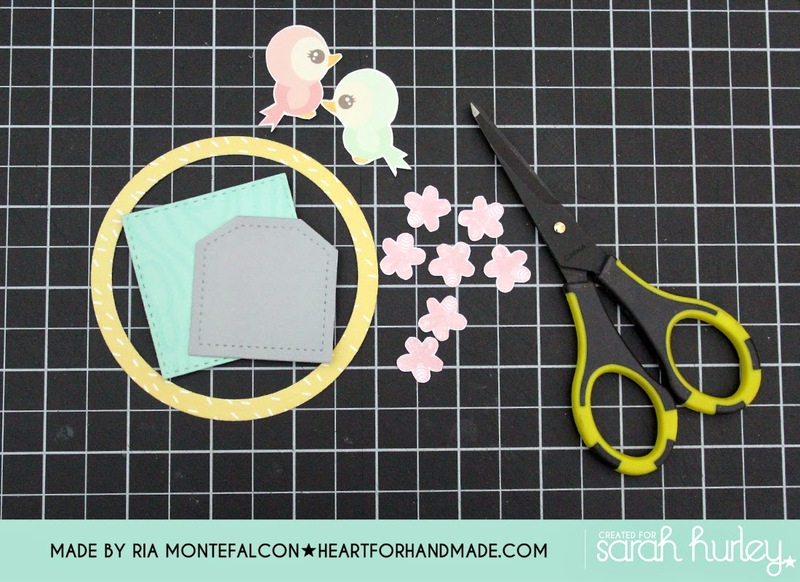 I then die cut small shaped dies to frame the two birds that I fussy cut from Sarah's A Few of my Favorite Things kit. I also stamped the small flowers with light pink ink to complement the pink bird. These flowers will be used as my embellishments later in the final card. I assembled the pieces and here's the details of the final card. I white embossed the birthday sentiment using vellum. 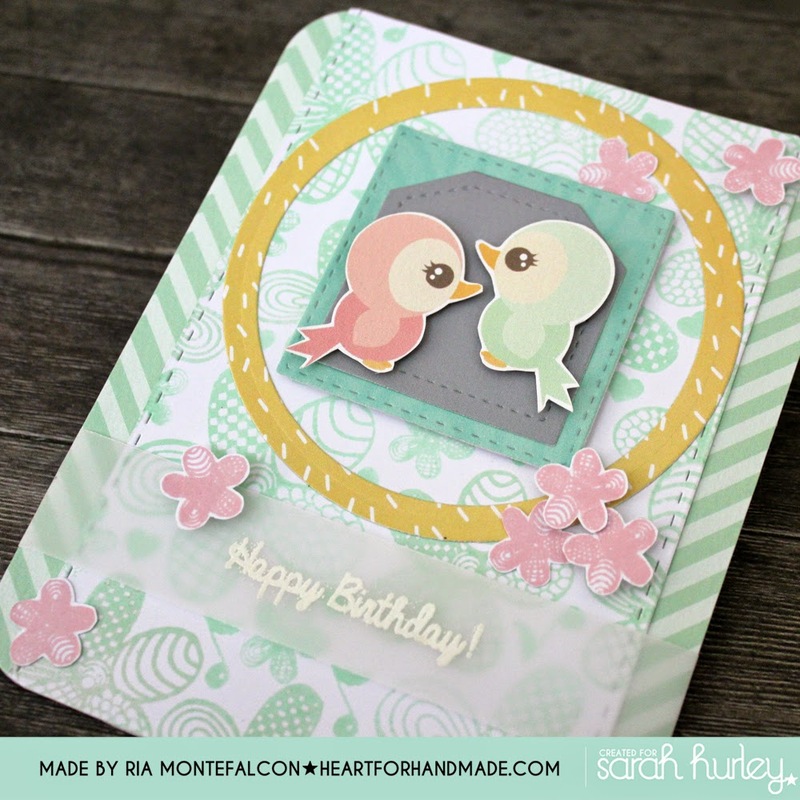 I hope you try the one color stamping, I had fun doing this card.